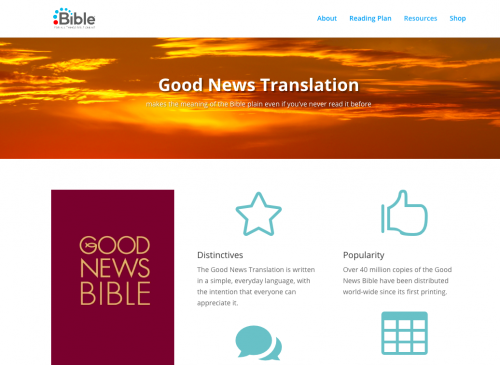 GNT is the Good News Translation of the Bible, published by American Bible Society. Some editions of the Good News Bible contain line drawings of biblical events by Annie Vallotton. The Good News Translation of the Bible was first published as the New Testament under the name Good News for Modern Man in 1966.